Quick overview As well as vividly exploring the tales, the author brings her expertise in the archaeology of the Iron Age and particularly shamanism to bear on the mythical worlds she describes, with evidence as diverse as the Gundestrup Cauldron and the famous bog bodies. She also asks how the myths survived the Christianization of Europe. This new instalment in T&Hs successful myths series (after The Greek and Roman Myths and The Egyptian Myths) introduces the world of the Celts, their gods and goddesses, heroes, monsters and villains. As well as vividly exploring the tales, the author brings her expertise in the archaeology of the Iron Age and particularly shamanism to bear on the mythical worlds she describes, with evidence as diverse as the Gundestrup Cauldron and the famous bog bodies. 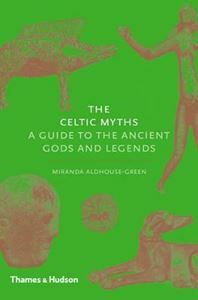 Starting with a discussion of how myths are transmitted and by whom, the author continues with an account of the Irish and Welsh myths and their key actors and motifs, before moving on to consider themes such as heroes, animals, women, environment and the Otherworld. In her finale, the author asks how the myths survived the Christianization of Europe and looks at the influence of monastic chroniclers on the tales, which they preserved and adapted.